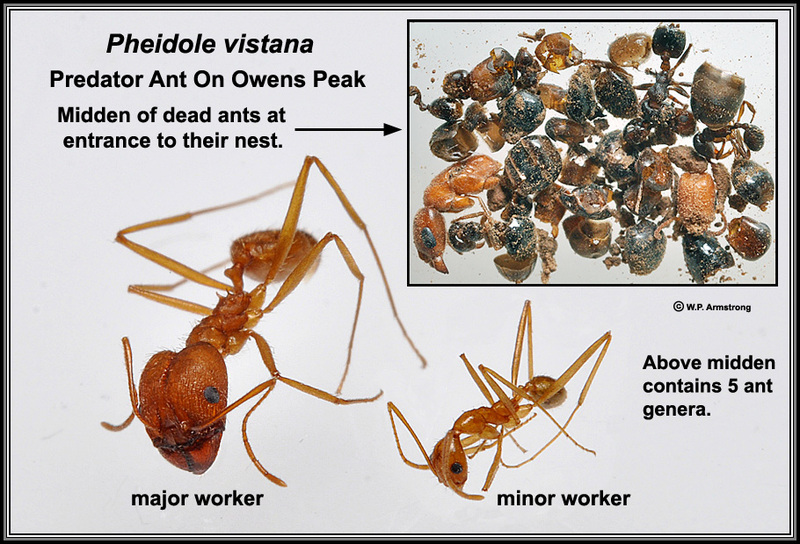 My favorite ants on Owens Peak (Pheidole vistana) definitely attack & kill other ant species. They also like Nature Valley™ Oats 'n Honey Granola Bars. In fact, I always share my bars with them! Have you ever tried to pick up dry, loose sand with fine-tipped forceps? This desert ant is adapted to this habitat. 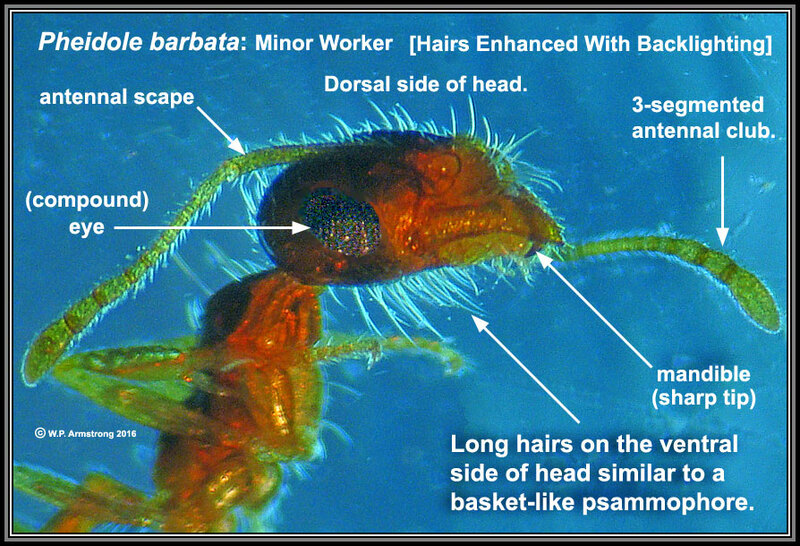 Sand spilling out of mandibles is caught in the long hairs on underside of its head. See Illustration. A man in Singapore once offered me a rare "coconut pearl" for $60,000 US; however, palms do not produce calcareous (aragonite) pearls like mollusks. 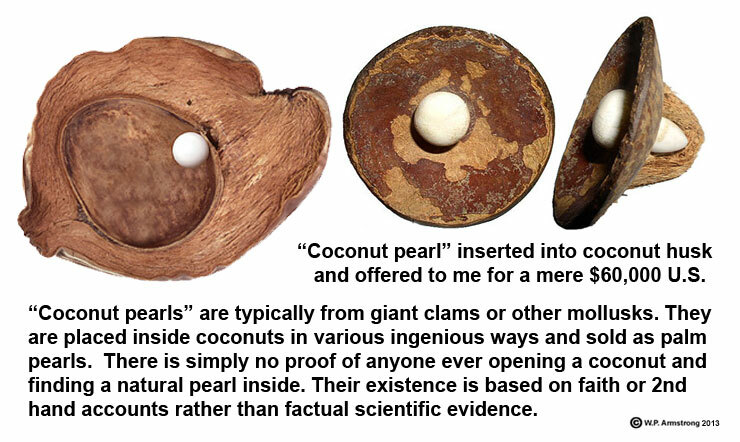 Coconut pearls are another hoax (myth) like Big Foot and the Loch Ness Monster. For more information: See Wayne's Word: Authenticity Of Coconut Pearls. 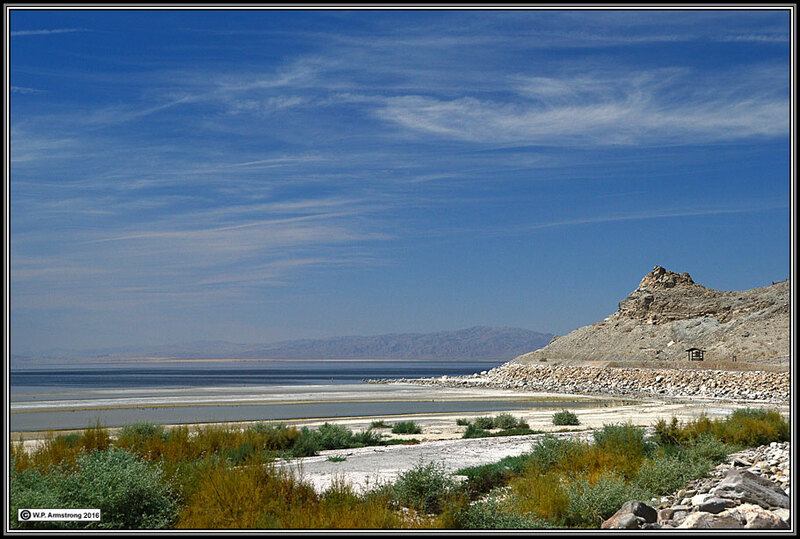 Rock Hill, one of 5 young volcanic buttes (domes) at the southern end of the Salton Sea. 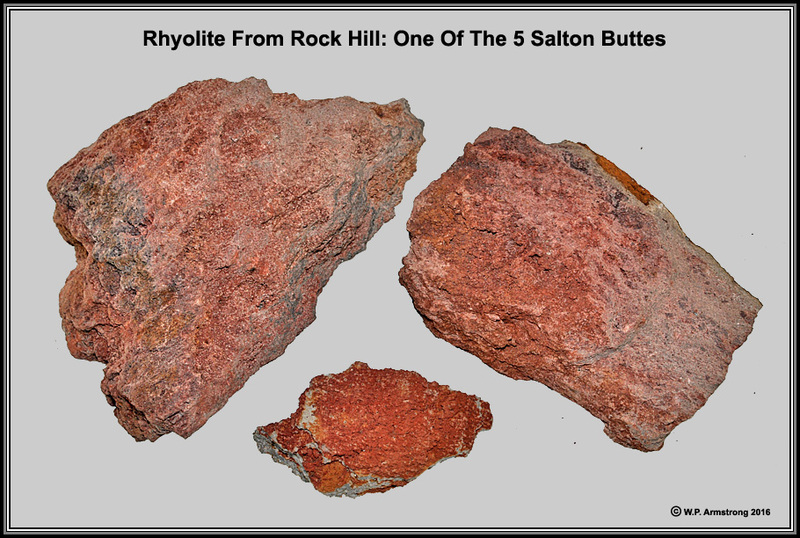 This one is composed of rhyolite. Nearby Obsidian Butte contains rhyolite and obsidian (volcanic glass). A 2012 study indicates they may have erupted less than 3,000 years ago. 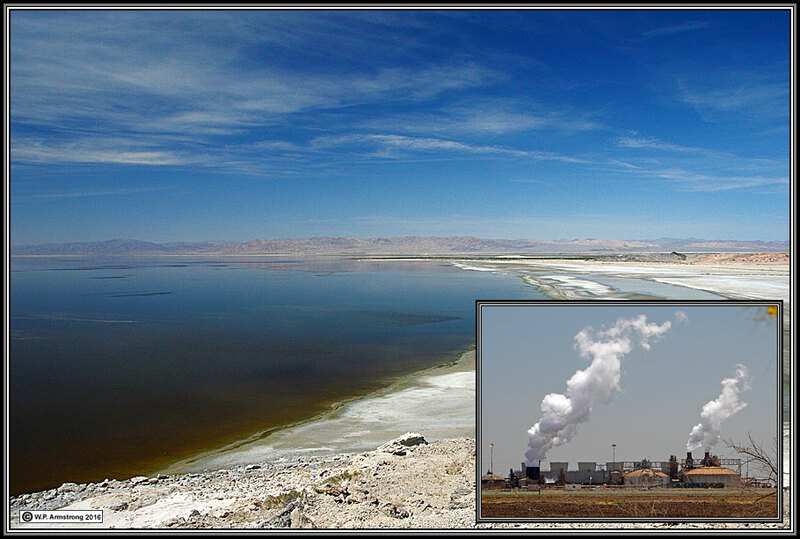 Several power plants are located in this active geothermal area. Superheated brine from deep underground drives steam turbines to produce enough electricity for more than 300,000 homes. View from summit of Rock Hill at south end of the Salton Sea. Inset shows a nearby geothermal power plant. 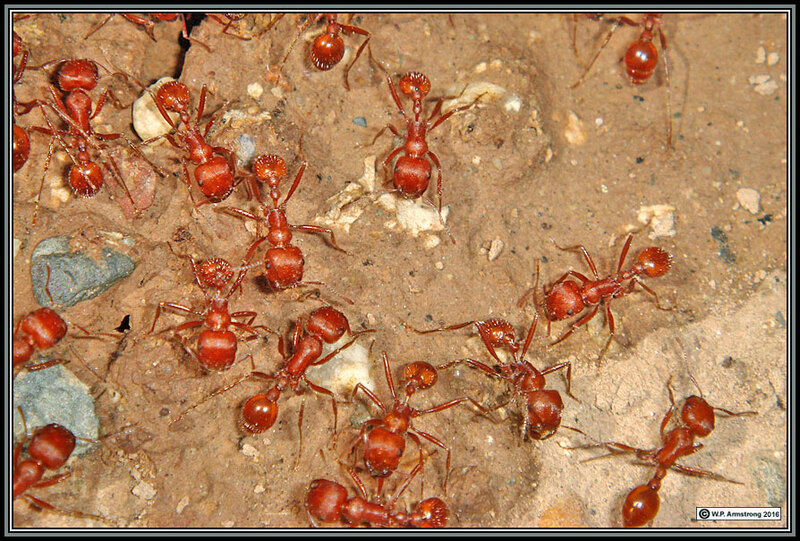 These big red havester ants (cf. 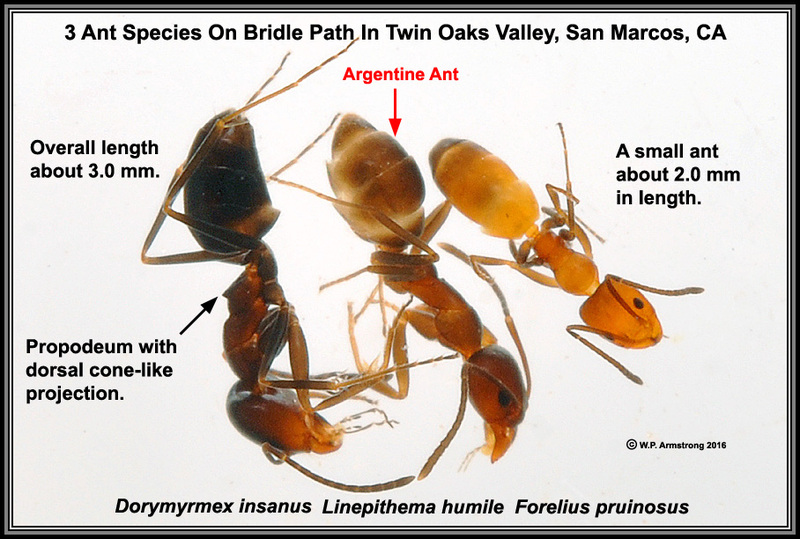 Pogonomyrmex barbatus) in Brawley, CA were active in 100+ temperatures. They have very painful stings; a close encounter with a swarm of them can be an unforgettable experience. 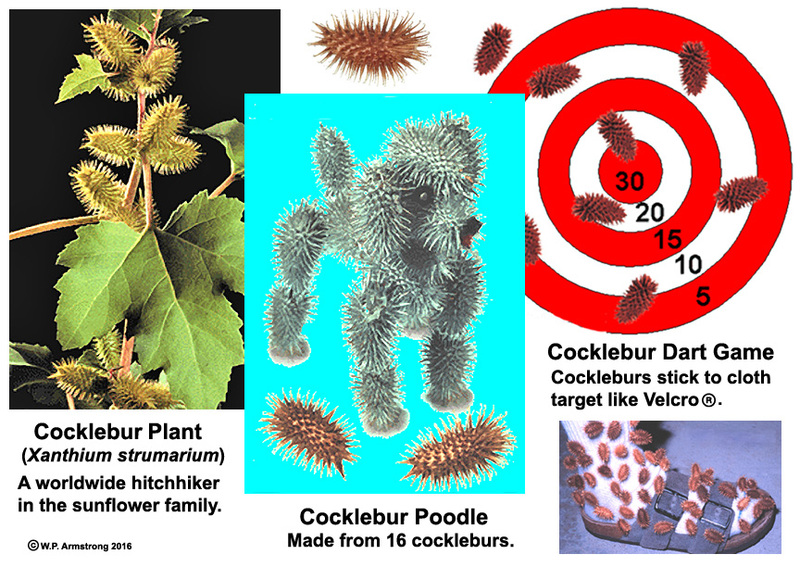 A few novel uses for cockleburs, a widespread hichhiking plant in the sunflower family. For more information: See Wayne's Word Article About Cockleburs See Ultimate & Most Painful Hitchhikers. 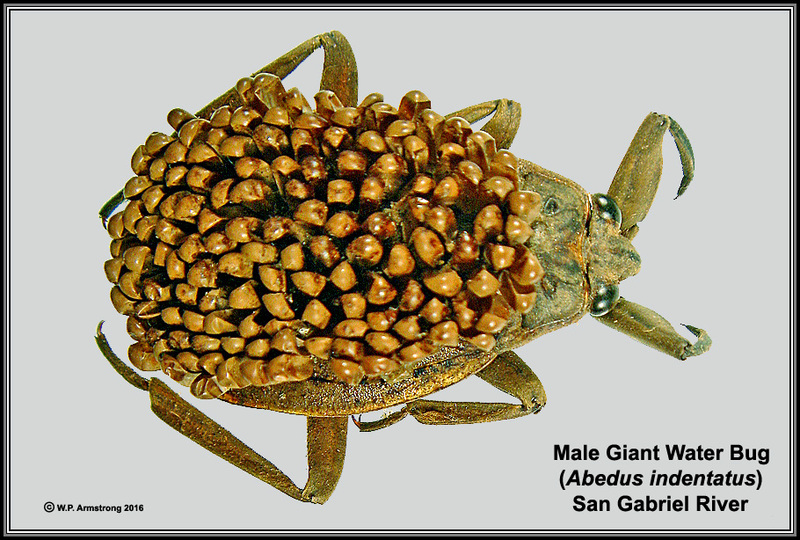 This male water bug fertilized the eggs he carries on his back. The female glued them here to keep them protected, moist and well-aerated. This is one of the relatively few cases of paternal responsibility (child care) in male insects. Only one of these snakes has the banding pattern of a deadly Arizona coral snake (a member of the cobra family). Helpful rhyme: "Red bordered by yellow, kills a fellow." If you guessed correctly on the banding pattern of the poisonous species, please do not feel overconfident in identifying all coral snakes and their mimics. The classic rhyme does not apply to all coral snakes south of the border. 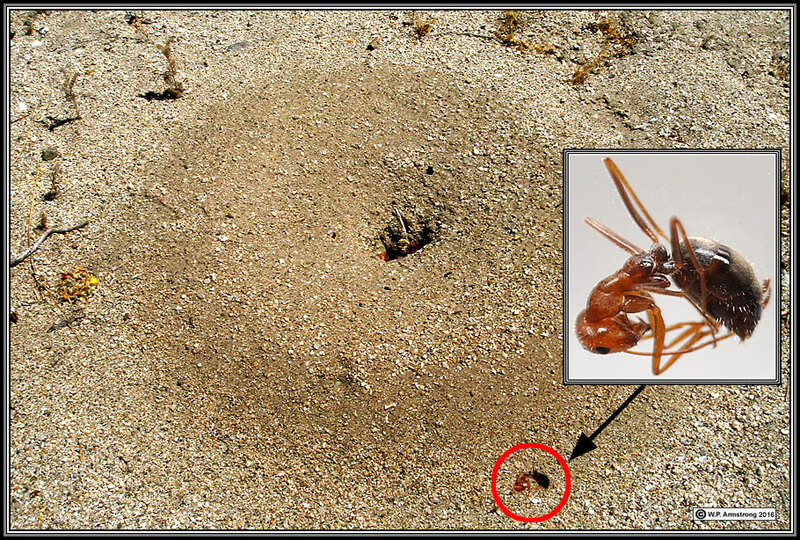 My favorite ant on Owens Peak is a fierce predator--see its midden of dead ants; however, it is fond of Nature Valley Granola! It also shares its nest with a small beetle. If your nest is in the Colorado Desert with scorching summer ground temperatures, it is imperative to get underground by mid-day. Unfortunately, this honeypot worker didn't make it. She was fried before my very eyes. 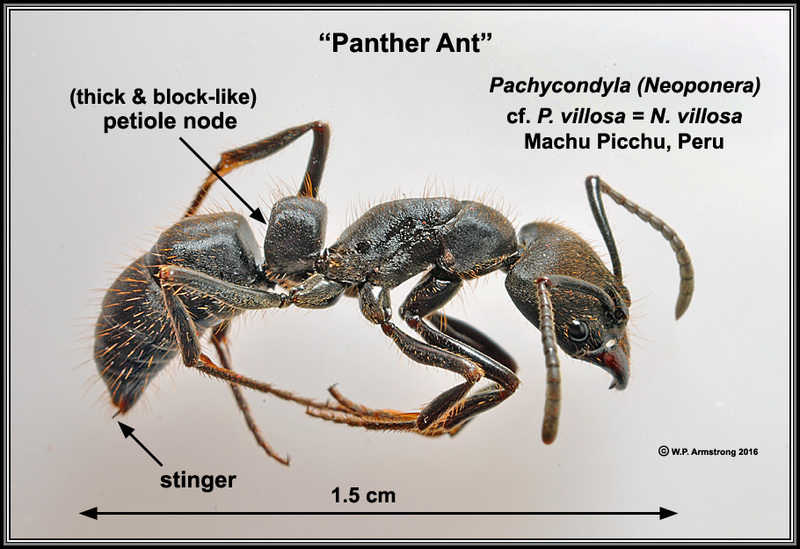 There are notable exceptions: Saharan silver ants actually go hunting in extreme heat, when ground surface temperatures exceed 150° F. BTW, the highest recorded ground temperature for Death Valley was 201° F.
Water loving Argentine ants once ruled my neighborhood. Now 2 additional species have moved in. Could this be a result of the $500 per day fine for excessive water usage proposed by the Vallecitos Water District! The fig newton is not named after Wayne Newton, Sir Isaac Newton, Olivia Newton-John, Juice Newton, or Cam Newton. It is named after the Massachusetts town of Newton, which was close to the Kennedy Biscuit Works (later called Nabisco). BTW, wasp-pollinated figs have a superior nutty flavor due to the numerous crunchy seeds. Nonpollinated, seedless (parthenocarpic) figs can also be used. 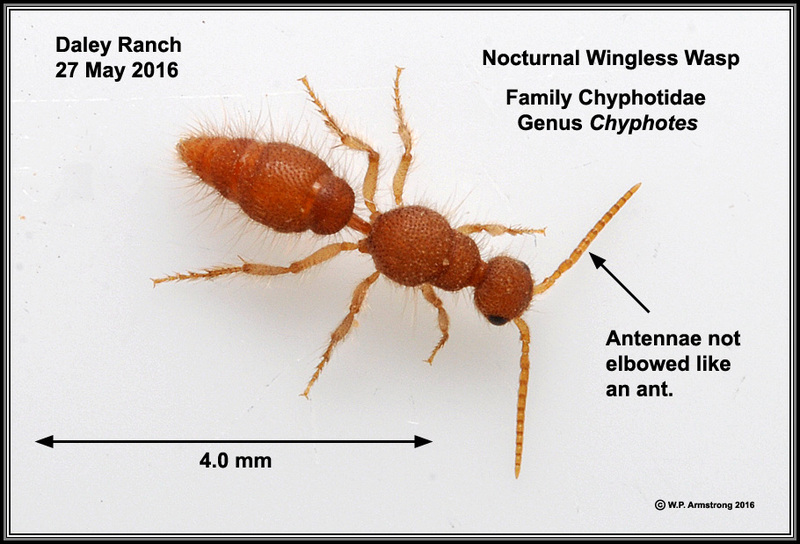 My latest discovery at Daley Ranch: A rare wingless wasp that resembles an ant. 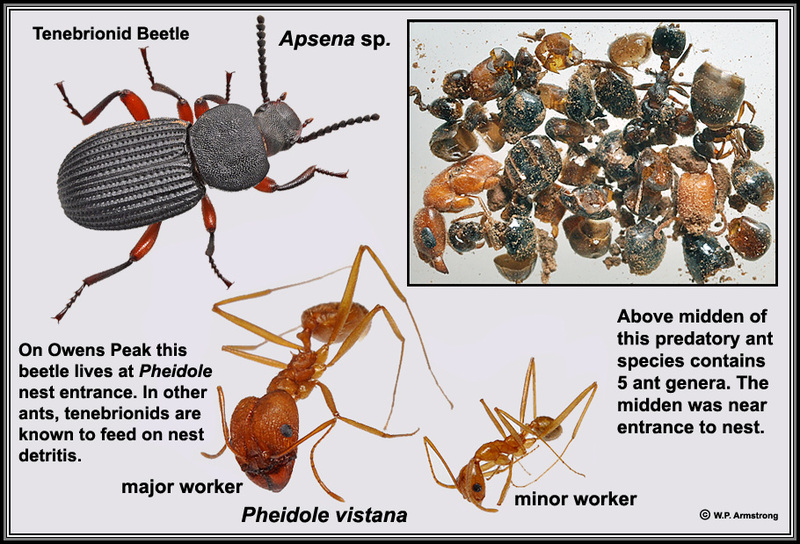 Ants evolved from wasp-like ancestor during the Jurassic period (140 to 168 million years ago), a time when dinosaurs roamed the land. 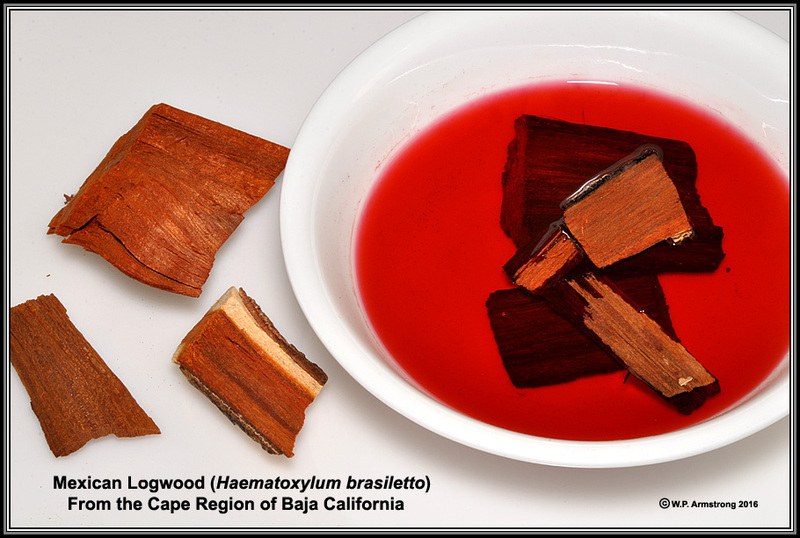 They diversified with the rise of flowering plants. 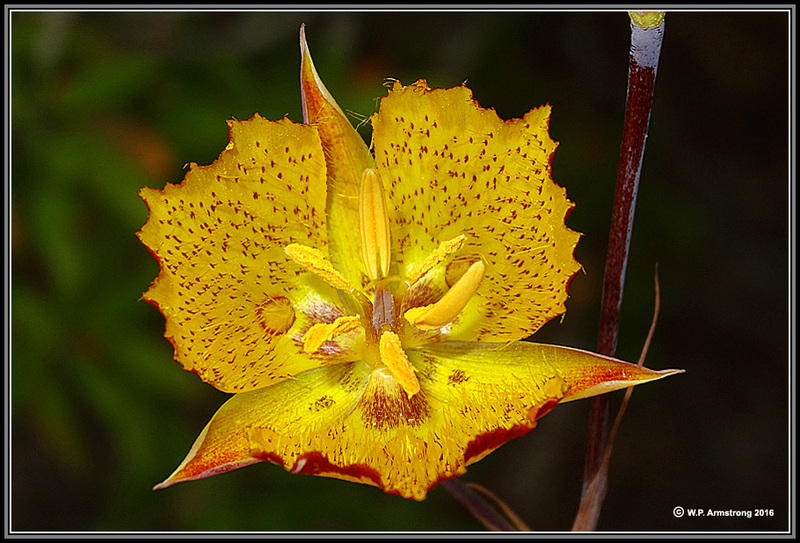 Some elegant & beautiful wildflowers in the dry hills north of Palomar College: Mariposa Lily (Calochortus weedii var. weedii). Photographed Memorial Day (30 May 2016).